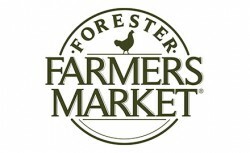 At Forester Farmer’s Market® we believe the old adage “you are what you eat”. That’s why we raise our chickens naturally, with non-GMO feed, no antibiotics, no hormones or steroids, no animal by-products and in comfortable, low-stress environments. You’ll taste the difference! Available at Sam’s Clubs nationwide.